Because for the most part we are blessed with the luxury of the basics in life, it is hard to fathom what famine really means or looks like. 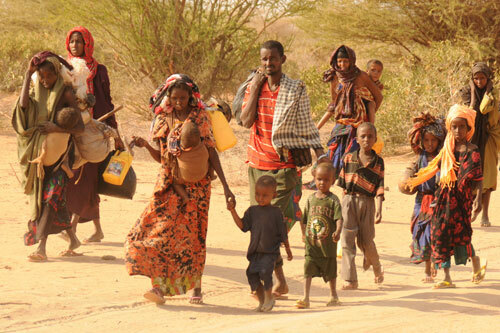 Last Wednesday the United Nations declared a famine in two large regions of Somalia. 3.7 million people are affected and the number is growing as a devastating drought also spans Kenya and Ethiopia. But, there is something we can do- Use Your Voice and if you are able, make a donation to the World Food Programme. Imagine this, just $1 will feed four children. Makes you take a moment to focus on how truly blessed we really are.